Michelin stars are given as per the rating and the norms which have been developed by the Michelin Star system of France. It is one of the most decorated ranks which any chef can have. It is one of the best ways to showcase the talent. With Michelin Stars are given to very chefs from all over the world. It is only because of the tough and rough system which has been devised to get to the top. It was developed in 1900 and since then it has rapidly evolved into a benchmark which shows that how hard a chef works. He is also a teacher to many Michelin stars chefs from all over the world. 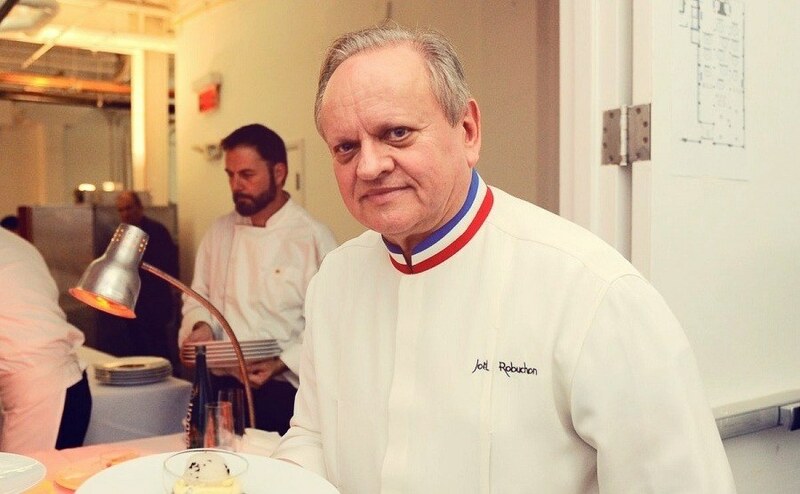 Joel is French and has been awarded the Michelin Stars for the development of Nouvelle cuisine which is widely accepted all over the world. It is also important to note that Joel also owns 12 restaurants from all over the world and in all the branches the Nouvelle cuisines are top of the list. He is also regarded as the best chef in the world and it holds 31 Michelin Stars to date, highest by any on this list. Gordon is a controversial figure on this list and it is all because of the short temper he has. He has been arguing with several other Michelin star chefs but all this has done nothing to diminish his ever-growing popularity. He is also one of the best chefs in the world and the credit goes to the Restaurant Gordon Ramsay that has held 3 stars since the beginning of this century. Gordon Ramsay is a name of quality and professionalism. He currently holds 17 stars in total out of which 16 are Michelin. Being an American it is really hard to cook and master French food but Thomas is an exception. He got all of his Michelin stars for the French Landry a restaurant he owns and runs. He is known by both French and Americans from all over the world. The best part of the tale is that his restaurant French Laundry has been deemed as the best restaurant in the world 3 times. Dal Pescatore is the Italian restaurant which is owned and run by Nadia. She is Italian and his restaurant has received three Michelin stars in 2013. Her specialty is individual cooking as she is of the view that scrumptious food cannot be made if a kitchen is serving more people. She is widely regarded in Italy for her exceptional taste and cooking style. The list of Michelin star chefs cannot be completed without a Japanese chef. Murata uses the local ingredients and makes sure that the outcome is in line with the demands of the customers. Creating the best Japanese cuisine is his specialty for which his restaurant Tokimeite has received 3 stars. He is considered to be the aspiration of many other awesome chefs from all over the world. Murata is a name of intelligent and delicious cooking. Copyright © Boneta, 2019. All Rights Reserved.